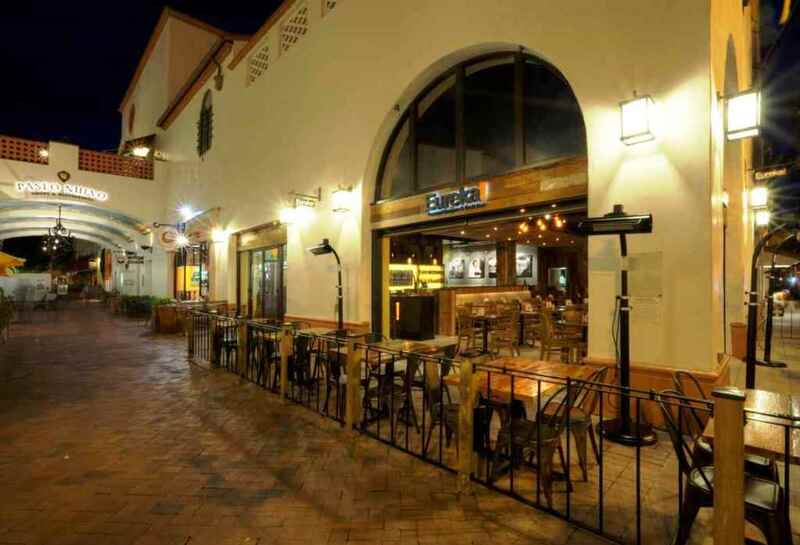 Everyone loves the Santa Barbara area, and we decided to visit a few of the towns in the region. We discovered that we should have allotted far more than several days for our excursion. If you are lucky enough you already know about this incredibly tasty and equally ambitious purveyor of shellfish. Mark Reynolds is an Englishman who left the banking business to follow his passion of the sea and farming. He went through endless bureaucratic approvals to establish an oyster farm south of the Mexican border. 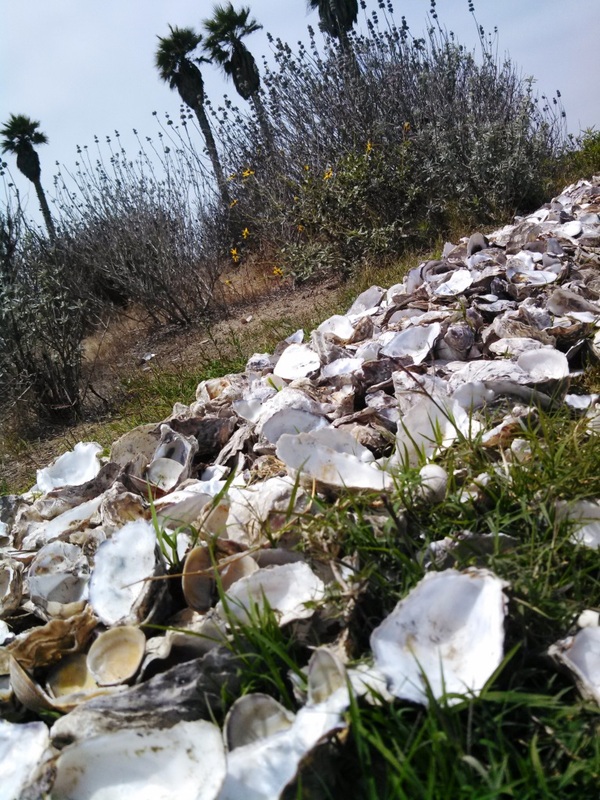 Once a week his team brings up a fresh load of fresh shellfish to a site at the San Buenaventura State Beach Park. He has a ‘shucking shack’ which sells raw clams and oysters, and a mobile kitchen which sells prepared dishes. Mark generously spent time telling us about his business, and we were fascinated by his thoughtful and thorough strategy. Because the government uses a 400 mile radius to define ‘local’ he is part of the local food movement. His savory and eclectic sauces complement both the fresh and baked oysters. We had a few of each dish, and could not easily pick a favorite as they were all wonderful. The shells make for an environmentally and aesthetically correct border. Mark described the sustainable nature of his venture. For example he recently added Baja Stone crab claws to his offering because each crustacean can regrow a claw seven times. We vigorously tapped the claws with a table spoon and dug out the tender white meat. Panko covered oysters and Baja Bay scallop ceviche were also hits. 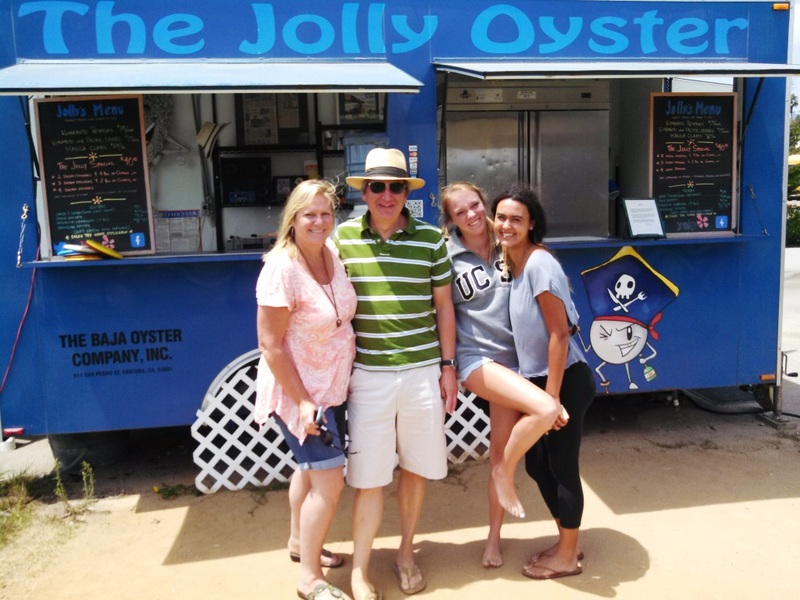 Happy campers after enjoying the freshness of the Jolly Oyster. The tortillas accompanying the ceviche were baked in a wood fired oven in Mexico, and are a blend of organic corn and seaweed. The baked oysters with leeks were a hit, as were the baked clams. We are so pleased that we discovered The Jolly Oyster. Folks that only see the grouping of picnic tables, the mobile kitchen and the shucking shack at the end of the parking lot near the beach might have trepidation, but that would be a mistake. This is as fascinating and tasty a spot as we encountered on our trip. A theme seemed to develop on our trip: seeing Brits in unexpected settings. Solvang celebrates all things Danish, but we were practically rolling in the aisles during this musical which spoofs myriad elements of British heritage. My wife had been visiting Solvang for years before we met, and so she insisted we add this town to the agenda. 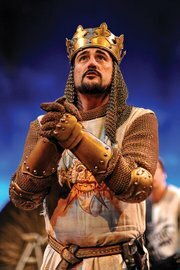 I was already enthusiastic about Solvang and was giddy when we secured our Spamalot tickets. The production was remarkable, and certainly held its own against the original Broadway production I saw with Tim Curry and David Hyde Pierce in the lead roles. Erik Stein, as Sir Lancelot was priceless in various roles. Our daughters had seen enough musicals to appreciate the loving parody of the genre. I had provided our daughters some of the context about Monty Python and about how Eric Idle drew from disparate episodes to crash together sequences about Finland (“Fish Slapping Dance”), Spam, flying cows and Knights of the Round Table. The outdoor venue was intimate, with clear sightlines and sharp sound mixing. The cast was uniformly versatile, making the most of the thrust stage. Director Michael Barnard kept a steady pace through the evening. Scenic Designer DeAnne Kennedy creatively used various elements, such as CDs for the fish scales on the Lady of the Lake’s parade float. Joseph Kennedy was impressive as King Arthur. It struck me more than once that this production is very near the residence of John Cleese, one of the Pythons. But Spamalot is the creation of Eric Idle, and it travels very well. The Solvang Festival Theatre has an impressive lineup of productions this season, and we hope to return with more time to enjoy this bucolic venue. 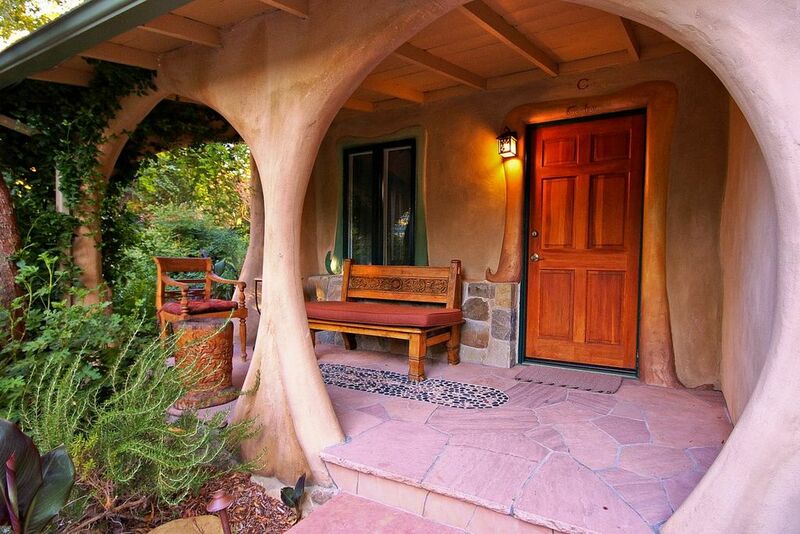 Tucked into a corner of Ojai, this Old Mission inspired boutique inn was a charming surprise. It is only a dozen minutes from the ocean, and time melts away at the Blue Iguana Inn. The various separate low slung buildings were arrayed around a central yard with a billowing tree. By offering a variety of accommodations (from cottages to suites and bungalows), the Inn meets all needs. Our suite had a full kitchen and a pull out futon for our daughters. We started the wood burning stove on a particularly chilly evening, but spent the next morning ducking the sun in the shade of our porch. The tile work and stucco walls were rustic and appealing. The fixtures were all new, so there was no sense of roughing it. Our king bed was comfortable with high thread count sheets. Breakfast was offered daily, which we enjoyed while leisurely continuing our unending backgammon challenge. The proprietors enforce an early quiet time, which is great. A pool and hot tub are on offer, but again we ran out of time on this trip. 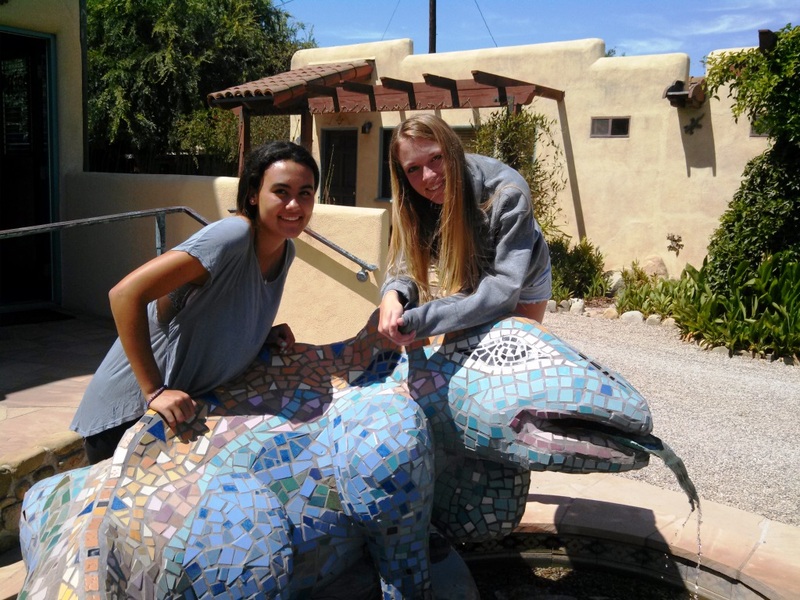 A photo with The Blue Iguana is required. The sister property is called the Emerald Iguana and has recently been renovated. 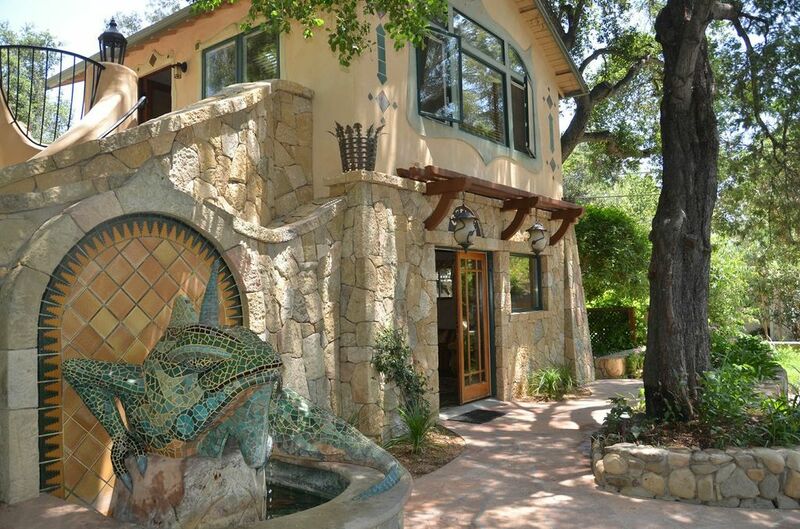 It was designed by Marc and Julia Whitman, and features Craftsman/Art Nouveau-style design. The Emerald Iguana is an adults-only venue, and we intend to ensconce our kids with friends for us to have a couples retreat one day soon. 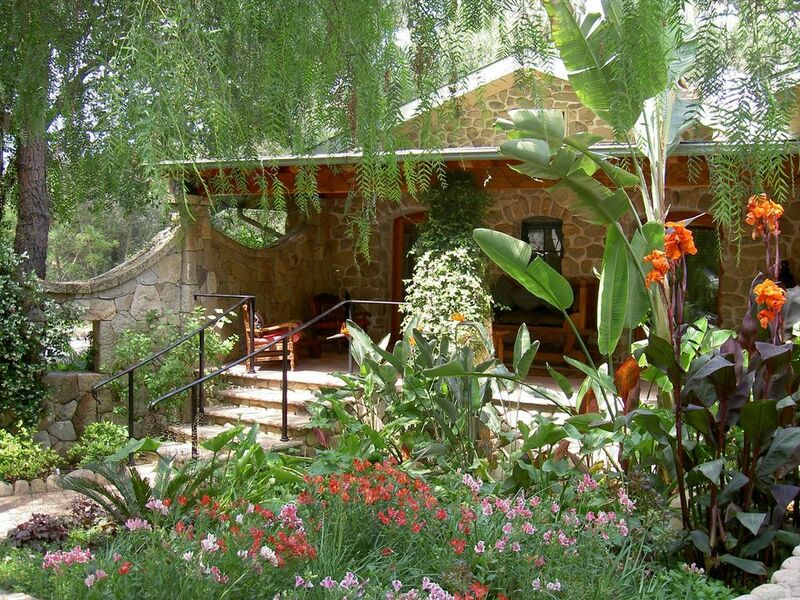 Ojai is a classic central California town. We breezed by golf courses, art galleries, boutiques and fine restaurants. We mismanaged our time and also were unable to partake of the town’s miles of hiking trails. Ojai is 40 minutes from Santa Barbara and 15 minutes from old town Ventura and the beaches, and adjoins the spectacular Los Padres National Forest. Return we must. 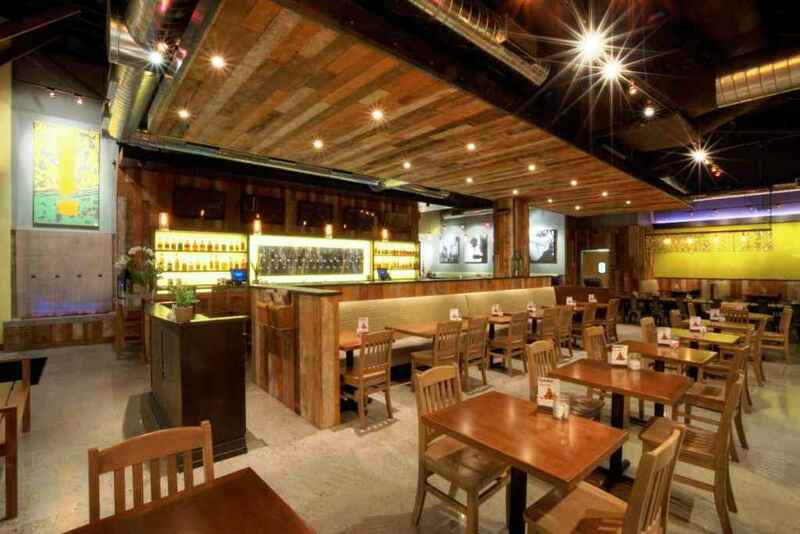 We finished off our culinary tour with a stop at a craft burger and craft beer venue that offered a range of flavors. Before diving in to the cuisine we were impressed with the crisp décor and clean open design. For starters we nibbled on osso buco riblets which were drizzled with a fire cracker aioli and lollipop corn dogs. More refreshing was the watermelon salad, which was built around quinoa, tomato and zucchini. Walnuts, cranberries, feta cheese and watermelon spears made for a powerful combination. A sure winner were the king crab cake sliders with romesco salsa and lemon vinaigrette. 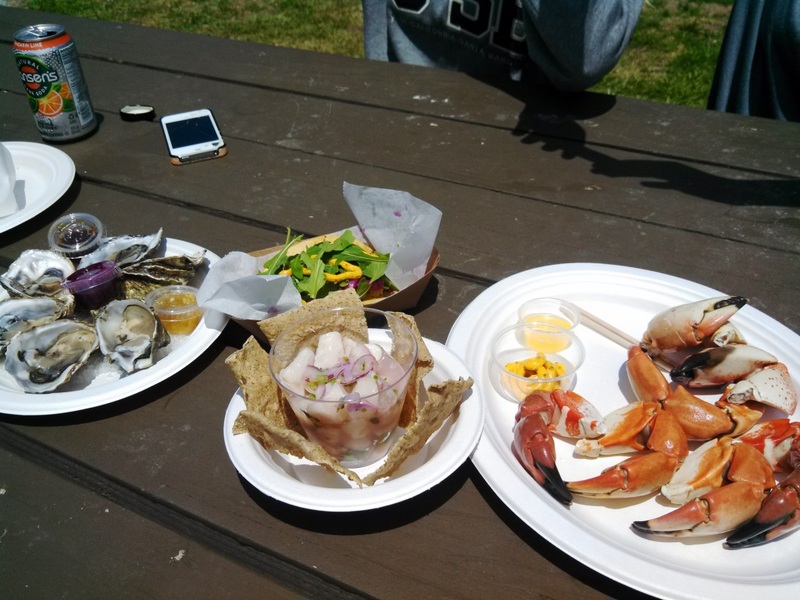 Our daughters relished the crab, but managed to leave a couple bites for me. But it was the burgers that were truly amazing. One featured the seemingly incongruous combination of a fried egg with melted cheese, bacon, chipotle sauce and jalapeno peppers. The blend of flavors was remarkable. But the pièce de résistance was the fig marmalade burger, built with goat cheese, tomato, bacon, arugula and spicy porter mustard. Eureka had an impressive range of craft beers, several of which we sampled. 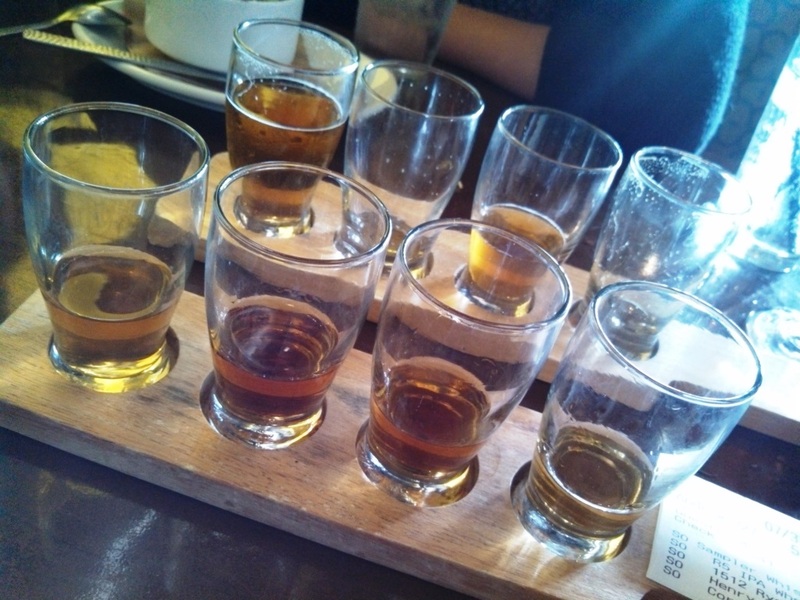 But before, during and after the salty sweet dessert of butterscotch pudding, we sampled a flight of whiskies. 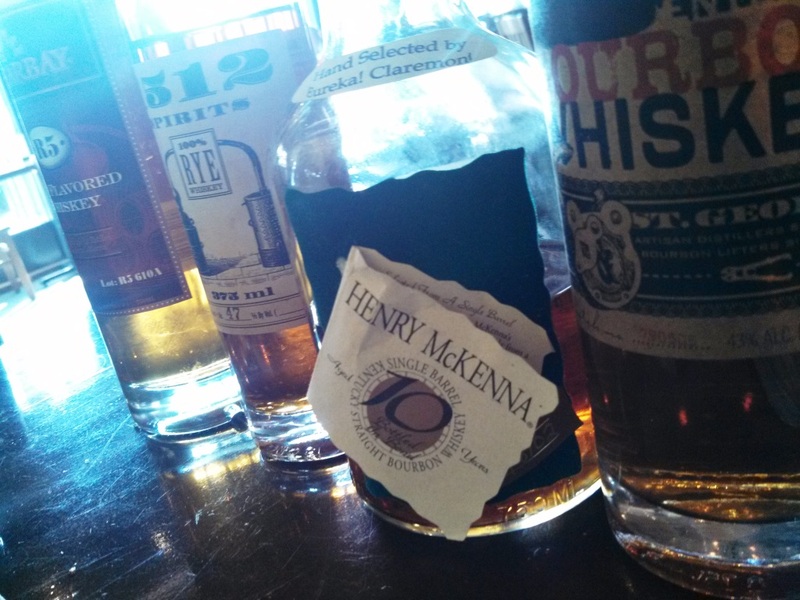 From slightly smoky to more bracing and bitter, the whiskies were a surprising finish to a delightful meal.